It is a balanced nutrition for effective .wth and higher yield and its regular application ensures obtaining maximum yield and prevention of diseases. Target Crops : Beneficial for paddy, wheat, corn, potato, tomato, brinjal and green vegetables. also for oil seeds, pulses, tea and other plantation crops and fruits. 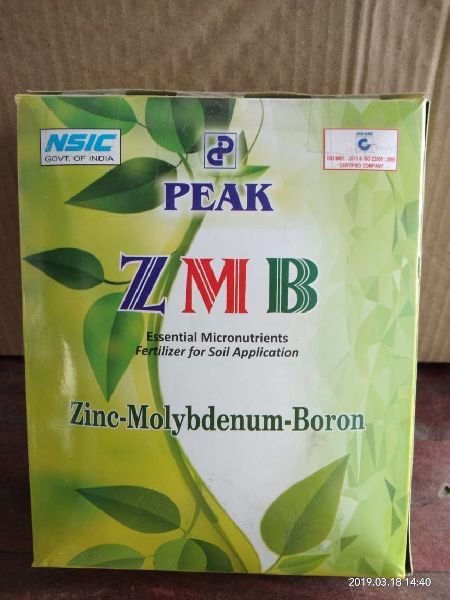 Dosage and Application : Mix 1 Kg Peak ZMB with 100 kg farm yard manure (Orgathea) for soil application. Repeat the process in 30 days interval.